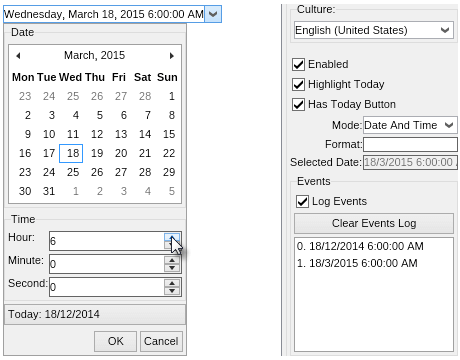 The date time box lets the user select a date and/or time from a drop down calendar or some other widget. NOV Date Time Box can be modified in various aspects of the date time box and drop down calendar's appearance and behavior. Fully localizable with a wide range of languages to choose from.